Neuroleptics, the most widely prescribed group of psychotropic drugs, are indispensable in the management of a majority of patients with schizophrenia, as well as other psychoses, yet they have not proved to be an unmixed blessing. They are associated with troublesome adverse effects, of which movement disorders are the most serious in terms of frequency, persistence and overall impact on the well-being of patients and care-givers. 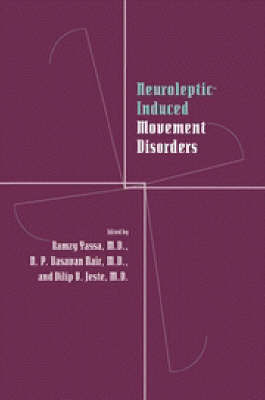 This book was prepared with the aim of improving understanding and clinical management of these iatrogenic conditions. It deals with historical, clinical and neurobiological aspects of tardive dyskinesia and related movement disorders such as parkinsonism, dystonia and akathisia. Sections are also devoted to the measurement of tardive dyskinesia, to geographical and ethnic differences, and to management with novel neuroleptic agents and biofeedback. With authoritative contributions and an international perspective, this book will be valuable to clinicians and researchers alike in psychiatry, neurology and related disciplines.